Please click here to securely upload your files. Once you’ve filled out the form, you may either drag & drop your files or click “Browse files” to select the documents from your computer. Once all files are listed in the upload box, please hit "Upload" (bottom left) to transmit them to our office. Please note, your accountant cannot verify file uploads if you use this general form. Please contact our Office Manager Samantha at samanthay@wassermancpa.net for confirmation. 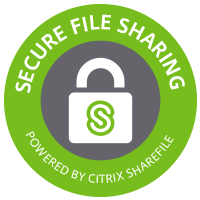 If our office has previously created a dedicated folder for you in Sharefile, please visit https://wassermancpa.sharefile.com/ to log in.